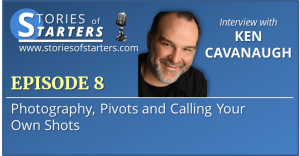 On this episode, I sat down with Andy Sikora. He’s the Lead Pastor of Renew Communities, a different kind of church that is making an impact and changing lives. We talk about pursuing your purpose, persevering through hard times, finding hope when you feel like packing it in, and the power of renewal. Andy’s got a great story that I think you’ll be able to not only relate to, but be encouraged by as well. Three words that describe Andy: Relational. Achiever. Belief. Andy’s dream of baseball stardom as a kid and how that led to a conflict at a youth camp when he was 12. God’s call on Andy’s life and what that means. Internship at Cedar Rapids. His love for working with youth. His taste of working with a new church in Indiana. Making the decision to go even though he didn’t have everything worked out. His move to Cleveland. Working at a large church while also attending online seminary. Working with 1500 young adults at the church. Ministry hit by several major crises that stretched and strained Andy and made him question if he could stick it out. The value of his community with the seminary cohort and mentorship with his lead pastor. A lot of what he’s doing now came out of those years with the grad school. He didn’t question whether God intended him for ministry, but whether he could persevere. His distance running helped him in these areas as well. Pushing through limitations and beliefs. Training. Struggles produce perseverance. Perseverance produces character. And character, hope. How the book “The Path” changed the way he viewed things. It forced him to look into the future and helped him choose the path that led him to launch Renew. The value of creating a ministry plan. How a speaker who was a little bit ahead of Andy helped spur him on to make the leap. 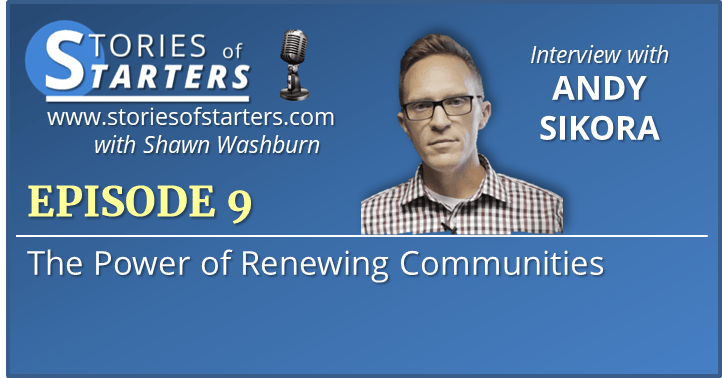 What makes Renew Communities different? Is it a church? Being intentional and not separating work and other aspects of life from church. They are taking Jesus out to the community. Missional communities with a focus, a cause. In a typical community, 60% of the people don’t want anything to do with church. Story after story about how people are discovering God in a new way, building community through Renew. It wasn’t hard until the started. Dare to do something differently, to re-think the norm.